It’s no secret that 2018 was a whirlwind of a year for ALLO. If we could sum it up in one word, it would probably be: Growth. Our teams put in extra hours, picked up extra work, and showed that ALLO is always willing to go the extra mile for our customers. 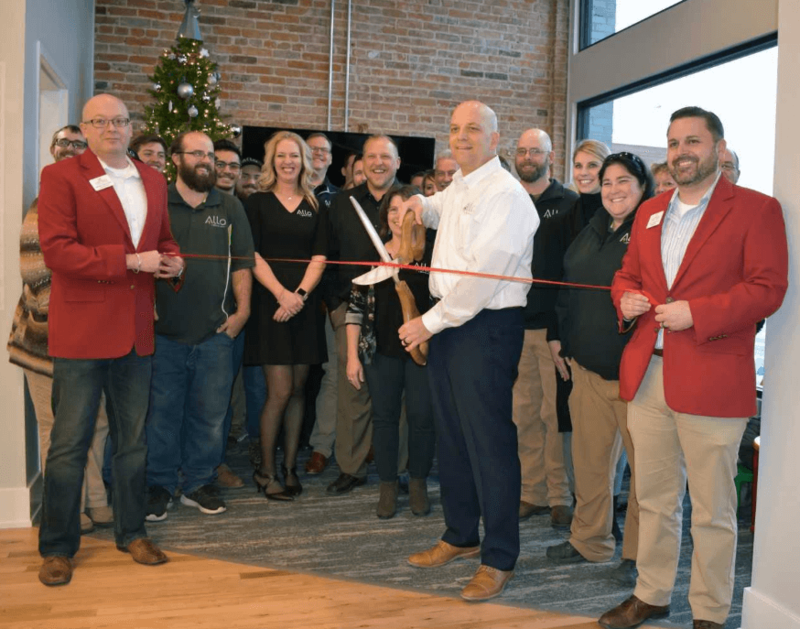 365 days seemed to slip by in a fiber flash as we neared the completion of building in Lincoln, established a new community in Colorado, and put in some work refining our service throughout the Midwest. With all of these changes, we thought we’d give you a glimpse of how team ALLO spent 2018. First and foremost, we stepped into our 15th year of connecting ALLO customers to a faster, more reliable fiber-optic network. 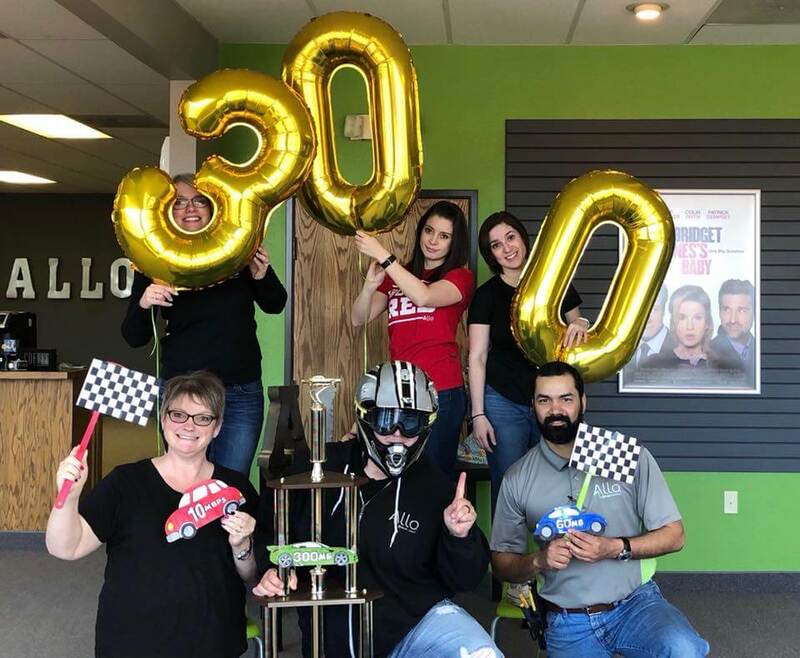 We celebrated our 15th birthday alongside fiber fans in our communities and were able to keep our party hats on as we added two new fiberhoods to the ALLO line up. The future of connectivity for Fort Morgan and Hastings is bright, and we’re glad to be playing a role in the success of these communities. Crossing state lines from Nebraska to Colorado was a really GIG deal. Normally we build the fiber-optic network from the ground up in our communities. Fort Morgan was our first public-private partnership with a municipality and it was a great success. Thanks to the teamwork between ALLO and the hardworking folks in Fort Morgan, our first customer was lit up with fiber service just 90 days after we began construction and the buildout of the city was finished in just eight months. Don’t get us wrong, we love our new customers but we’d never leave our loyal fiber fans in the dark. Most service providers make a habit of rewarding only newbies with upgrades and new features. That’s not the ALLO way. We know that to keep a customer, you have to earn their business every single day. So when we had made the network improvements necessary to flex our fiber muscles, we went ahead and showed our strength with an eye-popping internet upgrade. Residential customers who previously had our 100Mbps internet speed jumped up to 300Mbps at no extra cost. No phone call required, no address verification needed, no runaround, all for the low, low price of $0. Who does that? We do. Why? Because we can. A year like 2018 really gets us pumped for what lies ahead. We’re aiming high in 2019 and keeping our customers top of mind. The internet is a pretty powerful place and one that we believe everyone should have access to so we’re focusing on closing the digital divide, amping up access, and future-proofing existing and new ALLO communities. We’ve spent the last year planting the seeds and doing the work for the long-term success of our communities, and we cannot wait to see how our fiberhoods will flourish in the years to come.